As we move through an exceptional spell of weather, when farm work is getting done in a timely fashion and grass growth is at record levels, the key to success is continuing the focus on growing and utilizing grass. The weather won’t last for ever and, unfortunately, we can’t control it. One lesson learned from the difficult winter and spring was that farmers who followed plans and put out fertilizer, grew more grass than the ones who waited for the weather to improve before they acted. On a positive note, there has been a lot of quality silage cut ahead of schedule, something we thought would be impossible three weeks ago. Even though the moisture deficits are now evident in parts of the country, fertilizer programs should be followed to maximise grass production and keep costs down. Make sure that you don’t lose focus on opportunities to reseed also. 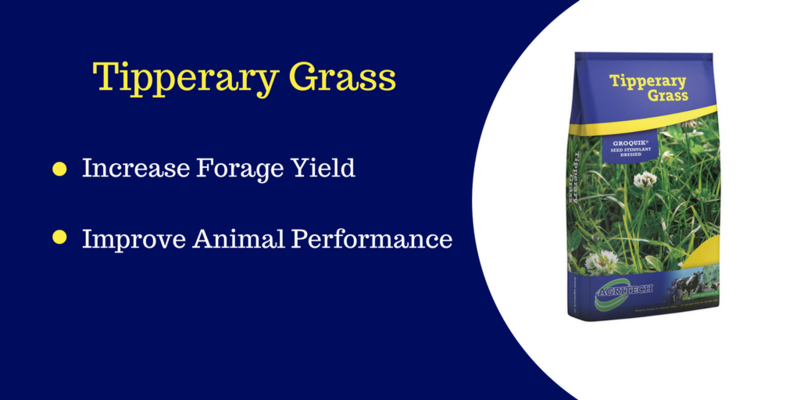 Fields that were impossible to work on for the last two years are now perfect for working on and it is an opportunity not to be missed to get better swards established in these fields with Tipperary Grass seed. Continue to monitor field performance and identify the poor preforming fields, as they are the ones that will benefit most and give the biggest return on investment from reseeding.